The hotel's location to "Old Town" and other points of interest; the staff was outstanding, and all the eateries near this hotel. 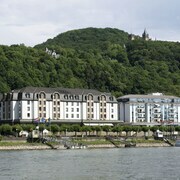 I highly recommend this hotel to anyone traveling to Koblenz. Ambience, hotel staff willing to help and make your stay comfortable. 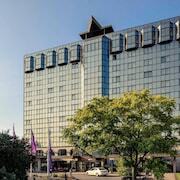 Where to find Ehlscheid hotels near an airport? Where can I find hotels in Ehlscheid that are near tourist attractions? Hoping to find a room in Westerwald, particularly in the Ehlscheid area? Downtown Ehlscheid has 8 Expedia-listed accommodation options within a 0.1-kilometre (0.06-mile) radius. The Landhotel Westerwald is amongst the most conveniently situated accommodation options as it is one of a small number of choices within a comfortable stroll of the Ehlscheid center. 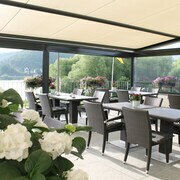 The Häcker's Grand Hotel Bad Ems is located 30 kilometres (17 miles) from the main part of Ehlscheid. 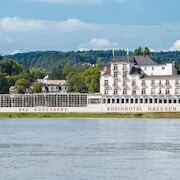 Another alternative is the Steigenberger Grandhotel Petersberg, which is positioned 25 kilometres (16 miles) away. Two other Expedia-listed alternatives around Ehlscheid are the DORMERO Hotel Bonn Windhagen and the Jakobsberg Hotel & Golfresort. Hausen is situated 12 kilometres (7 miles) to the north of Ehlscheid. While here, take the time to explore the Burglahr Castle. Burglahr offers some nice places to stay. While exploring this region, you can also visit Hausen, where you'll find the Wiedtalbad. Hausen is situated 5 kilometres (3 miles) to the northwest of Ehlscheid. 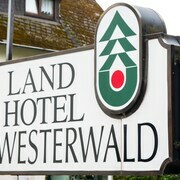 Hotel options in Hausen include the Hotel Strand Cafe and Hotel Wiedfriede. Just because you're on vacation, doesn't mean you can't enjoy your obsession for sporting events. You will find Commerzbank-Arena 100 kilometres (61 miles) to the southeast of Ehlscheid. Sports fans wanting to sleep near to the action can take their choice from the Rocco Forte Villa Kennedy or the Maritim Hotel Frankfurt. Cologne - Bonn Airport is located 50 kilometres (30 miles) from Ehlscheid. Travelers who choose to stay nearby, you can easily secure a room at the Leonardo Hotel Köln Bonn Airport or the Airport Businesshotel Koeln. 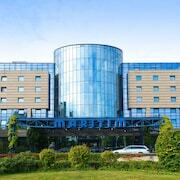 What are the most popular Ehlscheid hotels? 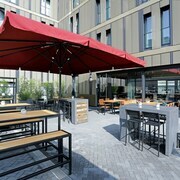 Are there hotels in other cities near Ehlscheid? What other types of accommodations are available in Ehlscheid? Explore Ehlscheid with Expedia.ca’s Travel Guides to find the best flights, cars, holiday packages and more!